This article by Tom McKusick originally appeared in the March/April 2019 issue of Northern Gardener. Munsinger and Clemens Gardens, a free public garden located on the banks of the Mississippi River in St. Cloud, attracts more than 350,000 visitors every year. The park consists of two distinct but adjacent gardens. 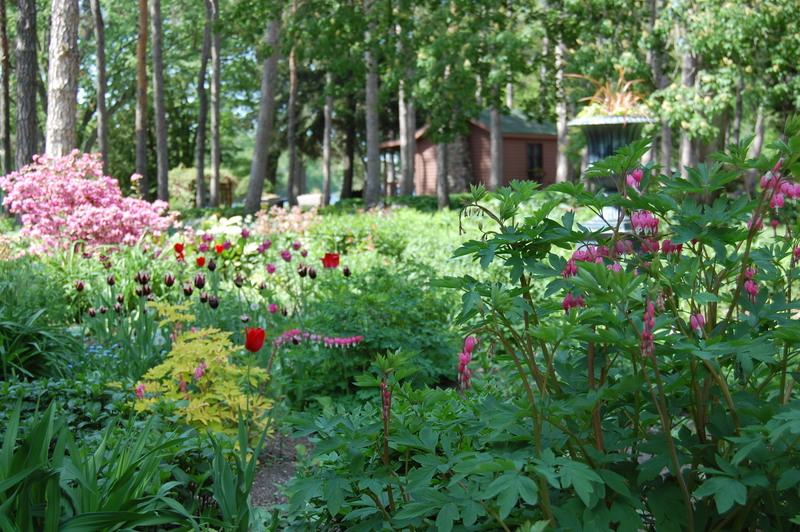 Munsinger and Clemens Gardens feature a variety of landscapes and northern-hardy plants. 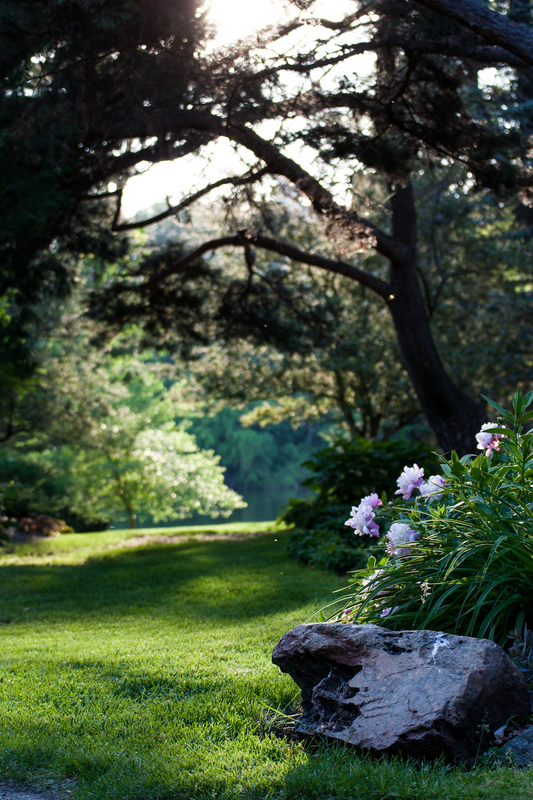 Munsinger Gardens began in the 1930s as a Works Projects Administration project, and today its shady, informal setting welcomes visitors to 14 acres of winding flower-bordered paths beneath towering pines. Clemens Gardens, developed in the 1990s, is a collection of six gardens situated on a sunny hill, and it includes the Virginia Clemens Rose Garden. The Clemens Gardens have a more formal style that reflects a classic European design sensibility with decorative fountains and ironwork. 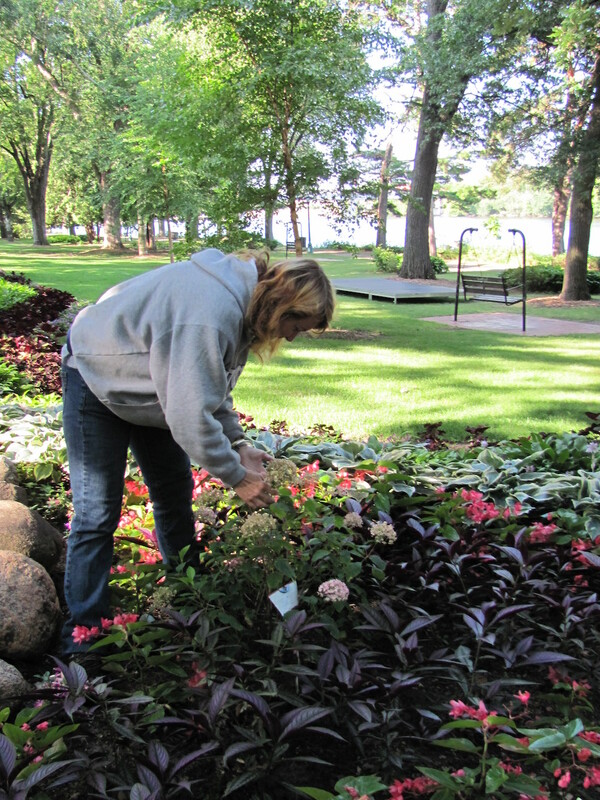 All of the gardens at Munsinger and Clemens have benefited over the years from plants provided by the Minnesota Green program. Munsinger Garden features shady paths to walk and enjoy nature. Among the volunteers who garden at Munsinger and Clemens are members of the St. Cloud Flower and Garden Club. Club members Deb Keiser and Ann and Ralph Anderson have long taken the lead in picking up Minnesota Green plants at the MSHS office in Roseville for Munsinger and Clemens and their other gardening projects in St. Cloud. The club also maintains plantings at the Sartell Community Garden and the Whitney Senior Center. The club holds an annual plant sale in May, Deb says, that helps to defray the mileage expense incurred when picking up Minnesota Green plants. Volunteers help tend the gardens in St. Cloud.